The CIA Wednesday night program starts at 6:00 pm. 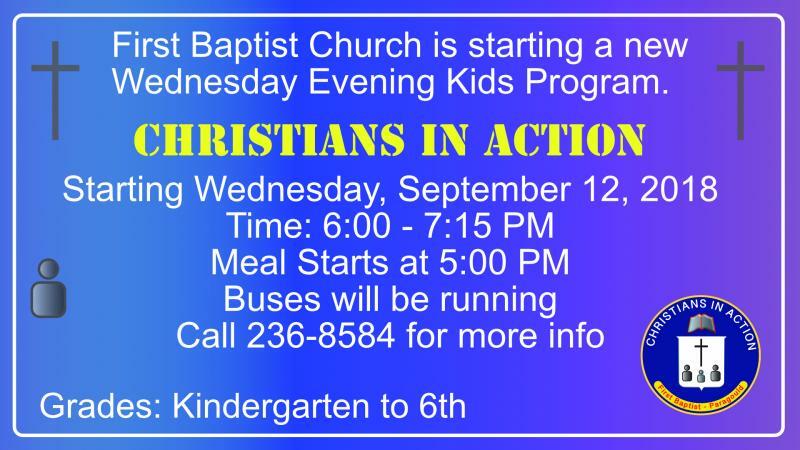 For more information contact Mike Pekrul, Children's Pastor. "Knowing Jesus & Making Him Known"
We are a Baptist church of unified believers in Christ that teach the Bible... nothing added, nothing taken away. It is important to share God's love, His Word & to lead others to know Jesus & that He died upon the cross to save us from our sins. There is only One way to get to Heaven and that's through Jesus Christ. Join us to learn the ABC's of becoming a Christian.